Nickel-Copper Alloys Pipes, Welded Nickel Seamless Pipe, Monel Alloy Pipes Dealer in Mumbai, India. Suppliers of ASTM B165 Monel Seamless Pipes, Monel Pipes Exporter, Monel Hexagonal Pipe, Monel Pipe, Monel Welded Pipe, Monel Alloy Pipe Supplier in India. Ganpat Industrial Corporation offers Monel Alloy Pipes, which are being a highly useful product in engineering industry, plus this range is widely demanded by the customers. We also offer these products in different grades such as Monel Alloy 400 Pipes & Monel Alloy K500 Pipes. Our Monel EFW Pipes has some excellent features to offer such as precise dimensions, resistant to corrosion, free from any kind of maintenance, and so on. Our company specializes in manufacturing, supplying and trading a qualitative range of these Monel ERW Pipes. However, these Monel Seamless Pipes are designed and engineered using premium quality stainless steel in adherence with the international quality standards and norms. Meanwhile, these Monel Welded Pipes are also being offered in different sizes and shapes to our customers. 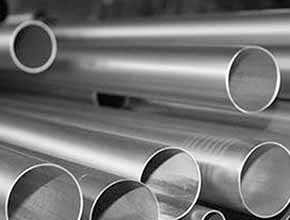 Alloying elements in Monel Round Pipes also have an effect on the eutectoid temperature of the steel. In general, wear resistance can be improved by increasing the hardness of these Monel Square Pipes, by specifying an alloy with greater carbon content (without increasing hardness), or by both. 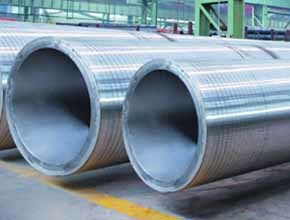 Monel Rectangular Pipes, which has good mechanical properties both at ambient and elevated temperatures of up to 930 Degree F (500 Degree C), is readily fabricated using the common industrial techniques. Although originally designed for use in sulfuric acid related industries, these Monel Alloy Pipes is now a popular choice for a wide variety of industries including the chemical, food, pharmaceutical, and plastics industries. Monel Seamless Pipe, Monel Hallow Pipe, Monel Seamless Pipe, Monel Bush Hex Pipe, ASME SB725 Monel Alloy Welded Pipes, Monel Pipes, Monel Pipes, Monel Welded Pipe Manufacturer in India. 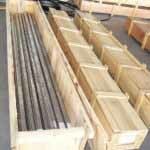 Monel Seamless Pipe may be furnished bare or coated and with capped ends. pipes up to 3” OD will be supplied in bundles. In order to prevent rust during sea shipment, bundles of Monel Seamless Pipe may be wrapped with polypropylene sheets, and secured with flat steel bands. Over 3” OD will be supplied loose. Bhopal, Jamshedpur, Noida, Chiyoda, Kuwait City, Santiago, Melbourne, Lahore, Busan, Mexico City, Ahmedabad, Jakarta, New Delhi, Ankara, Visakhapatnam, Nashik, Dubai, Thiruvananthapuram, Cairo, La Victoria, Ranchi, Secunderabad, Thane, Coimbatore, Chandigarh, Houston, Bogota, Atyrau, Abu Dhabi, Riyadh, Bengaluru, Courbevoie, Ernakulam, Algiers, Caracas, Los Angeles, Karachi, Kanpur, Rajkot, Doha, Manama, Mumbai, Seoul, Tehran, Lagos, Petaling Jaya, Faridabad, Dallas, Milan, Al Jubail, Gurgaon, Madrid, Kuala Lumpur, Nagpur, Ludhiana, Moscow, Pimpri-Chinchwad, Vung Tau, Haryana, Hyderabad, Navi Mumbai, Granada, Hong Kong, Istanbul, Baroda, Toronto, Colombo, Kolkata, Ulsan, Bangkok, Ahvaz, Surat, Vadodara, Singapore, Rio de Janeiro, Muscat, Jaipur, Howrah, Pune, Gimhae-si, Brisbane, Hanoi, London, Sydney, Perth, Dammam, Aberdeen, Al Khobar, Calgary, Ho Chi Minh City, Geoje-si, Sharjah, Montreal, Jeddah, Indore, New York, Port-of-Spain, Chennai, Edmonton. Belarus, Hungary, Hong Kong, Slovakia, Romania, Ecuador, Mexico, United States, Serbia, India, Trinidad & Tobago,Tunisia, Poland, Bhutan, Vietnam, Gabon, Switzerland, Puerto Rico, United Kingdom, China, Yemen, Libya, Egypt, New Zealand, Venezuela, Bahrain, Oman, Philippines, Algeria, Mexico, Bulgaria, Mongolia, Ukraine, Turkey, Denmark, Thailand, South Africa, Iraq, Bangladesh, Argentina, Indonesia, Angola, Kenya, Gambia, Azerbaijan, Portugal, Sri Lanka, Pakistan, Malaysia, Germany, Zimbabwe, Italy, Lithuania, Sweden, Jordan, Croatia, Chile, Ghana, Belgium, Australia, Peru, Afghanistan, Tibet, South Korea, Kuwait, France, Chile, Israel, Morocco, Nepal, Poland, Namibia, Nigeria, Costa Rica, Norway, Austria, Russia, Iran, Netherlands, Ireland, Macau, Canada, Iran, Japan, Nigeria, Kazakhstan, Singapore, Brazil, Saudi Arabia, Finland, Colombia, Greece, Estonia, Qatar, Taiwan, United Arab Emirates, Spain, Czech Republic, Lebanon, Bolivia.